At some point on your travels, you are bound to go on a tour. It is unavoidable – especially if you need access to certain parts of the globe. Time of year can be a factor (New Year’s, festivals) and time restrictions in general. Tours are a great way of seeing as much as you can while learning and broadening your general knowledge. You also get to have adventures, meet new people, experience new cultures and make lots of friends… while having fun along the way! Personally, I like mixing the odd tour into my own independent travel plans, for all the reasons just mentioned. Here is the list of tours and agencies I have personally used. As I experience more RyansAirAdventures! I will keep the page – and you, updated… so you can see the world for less! Tours from Jerusalem to Bethlehem, Dead Sea, Masada & more! Was here for the Gomio conference and flew in a few days early. 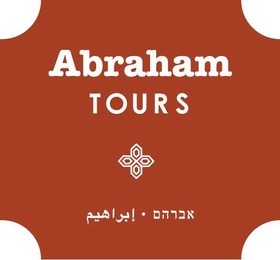 We were notified by Abrahams Hostel of the tours service they provided. There were a lot of really interesting options and if I was staying longer in Israel, I would have loved to have done more. I actually booked two different tours with Abrahams. The first was a half day trip to see the Dead Sea. A fun day out, floating on the water and bathing in rich mineral mud! Good way to get to know your fellow travellers. This was their own tour in their own Abraham mini tour bus. The other tour was actually a one day tour to Petra, Jordan. They organised everything and were affiliated with reputable agents. They helped to organised my return bus ticket to Eilat, which is where the tour is from. Staying in Eilat, the tour guide picked me up in the morning with the rest of the group and took us to the Jordanian border. All visa assistance was given to ensure we got through and onto the wondrous Petra in no time! Both these tours were completely different and both excellent! City Sightseeing – the world’s leading open top bus tour operator. I have used this fantastic tour service when in many cities throughout Europe. On a lot of the trips I have taken, I am only visiting these cities for a few days. These tour buses provide an excellent option to see as many sights as possible in a short amount of time. The cost varies, dependant on the size of the city and routes. Audio-guides are provided and sometimes a tour guide on microphone too. I enjoy learning about the history of the city I am in. The cost of these tours is well worth it, for the amount of information provided, ground covered and places and monuments of importance discovered. The tickets are valid for 24 hours, meaning you can use them over 2 days if you plan properly. I have used these buses in the following destinations: Berlin, Dublin, Tallinn, Paris, Rome, Amsterdam, Barcelona and London. Good times! Kanoo Tours – the adventure starts here! After doing my Bolivia research (pre and post arrival), I decided to use Kanoo Tours. I used an in-house agent in the central office, which is right near the Witches Market. They also have agencies in some hostels, which include ‘Loki’ and ‘Adventure Brew’. The good thing with this tour agency is that you will always get a younger, fun crowd to share the adventures with. They affiliate themselves with the best guides and agents around, so you are guaranteed to have one of the better experiences that can be provided. I booked two tours with them. The first was the Uyuni Salt Flats tour, where they were affiliated with Red Planet. The second tour was to the Amazon, a 3 day Pampas tour to see the pink river dolphins in the wet season. At the time, they were affiliated with the ‘Dolphins Agency’ / Eco lodge who were fantastic and respected the wildlife and nature. This tour also need to have return flights booked from La Paz to Rurrenebaque, all organised through Kanoo. I loved the Pampas tour – outdoors, amongst nature and free. Highly recommended! 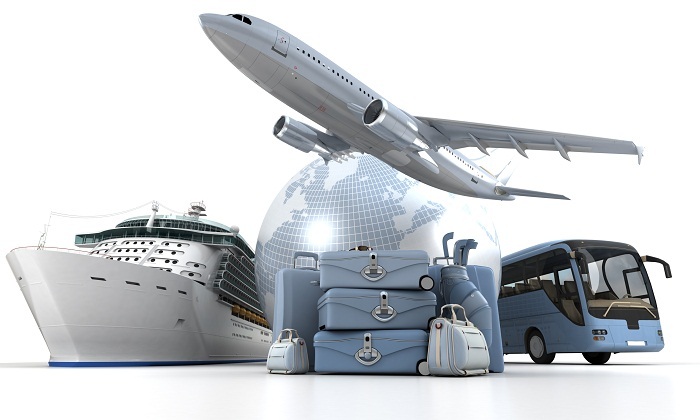 PP Travel – your party professionals. Came across this company when looking for reputable providers for Hogmanay! This is a huge New Year’s Eve celebration, famous the world round. There were a few different package options to choose from at different price points. This included whether I wanted to travel from London to Edinburgh by bus or train. Also, what style of accommodation I needed – hotel with private room or hostel with dorm bed. Their reps were very efficient and organised everything. One of the highlights of being in Edinburgh at this time actually occurs on the 30th December. A spectacular fire procession from the middle of town that leads all the way to the top of Calton Hill. I was lucky enough to actually move along the procession quite quickly, so got a spot up on the hill to watch fireworks, music and the burning of the Viking ship. Completely amazing and memorable on what was one of the warmer Hogmanay’s in a long time. The procession broke records as the biggest and best ever! The next night (New Year’s Eve) was of course great, with a brilliant display of fireworks with Edinburgh Castle as a backdrop. Definitely recommended! Sandemans – home of the famous free tour. Have seen this brand and its tour guides all across Europe. They provide free walking tours with knowledgeable reps. The first time I used them was in Jerusalem. I was there for the Gomio conference and it was one of the options we could choose as an activity. Our guide was really friendly and took us to the best vantage points in the city to see the most important sites. The tours usually last for a couple of hours and are a fantastic way to mingle with travellers and learn about local hotspots. The guides work on a voluntary basis, so make sure if you have enjoyed yourself and benefited.. show them appreciation by tipping, or buying them a beer. A great service! Travel Talk – adventure travel company. This company is hugely popular with all our antipodean friends! I took a nine day tour to Egypt and had a great time. It was well organised and the accommodation was excellent. I was lucky enough to be the winner of a cheap bid at a travel auction, so used this tour for a memorable thirtieth birthday. I didn’t have to pay the additional local costs as part of the win, which saved me a lot of cash too. The tour starts and ends in Cairo. Pyramids, ancient tombs, Nile river cruises, hot air balloons… this tour has it all. We had the same tour guide for the whole trip too. There are additional parts of the tour you can decide to add on once there, usually the day before. One of these was Abu Simbel, which you must do! Even if it means getting up at 4am to be part of a guarded bus convoy to get to the destination. This was done on my actual birthday, so a sight I will never forget. The same day, we jumped on feluccas and sailed away into the sunshine to our next destination. Today, I’m still in touch with friends made from this tour. Book it!